For the second day I planned to make Chaawal Ki Deg Se from the India Palace Restaurant Menu. 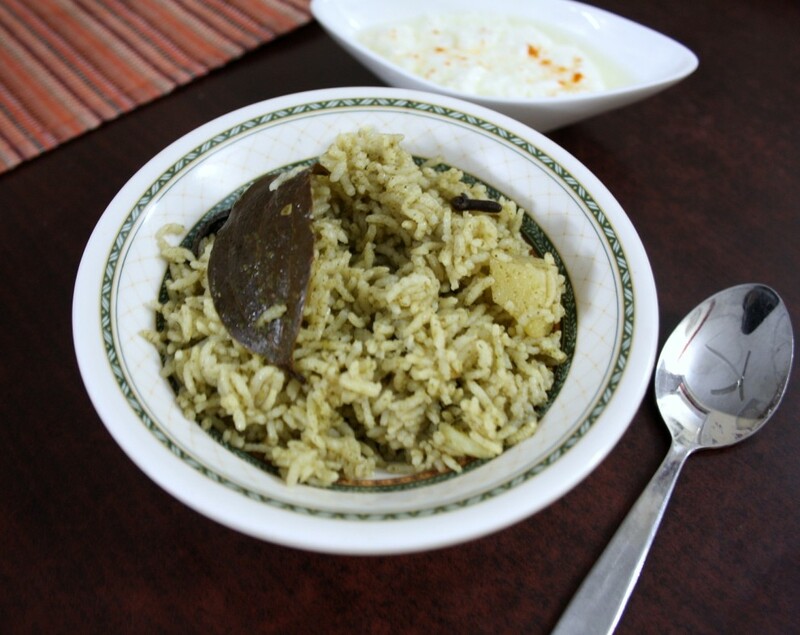 I found the Aloo Chutney Pulao to sound interesting and went through couple of recipes. Thinking about the name, I decided it must be one of those last minute rustled up dishes that a innovative cook must have thought, having too much of green chutney on hand. Else how else would you explain the ingredients, right? 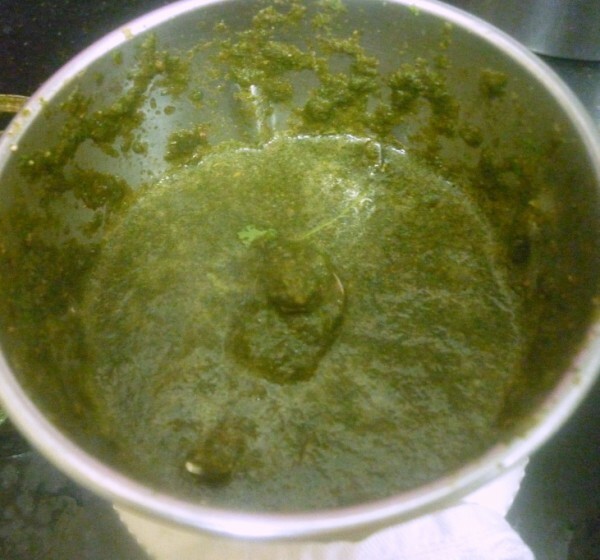 Anyway I am not somebody who has never ending supply of this green chutney, so I naturally had to make it afresh. After planning and planning, I finally ended up making it during the week day. I was thinking if it would really be liked. I cajoled my kids to taste, and guess what they liked it so much that nothing was left and what was made for them was not touched at all. 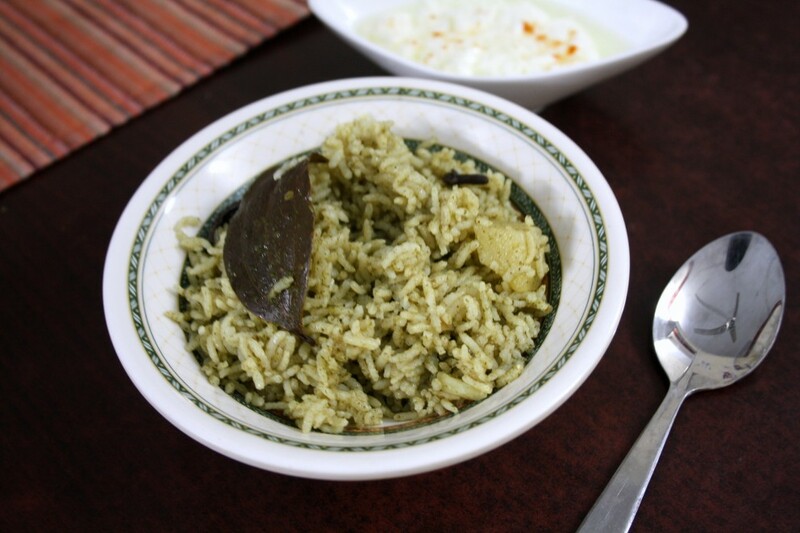 This rice is almost like the Coriander or Mint Rice in the Pulao style. 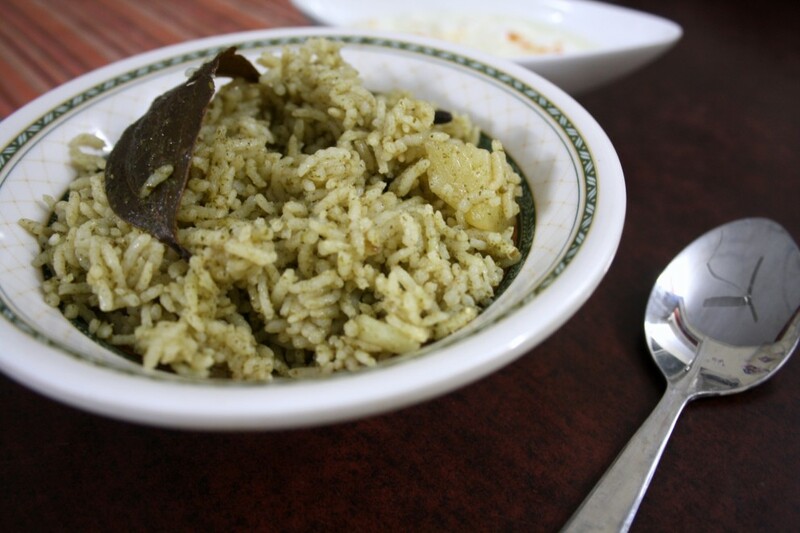 Since we add whole spices, this rice ends up being quite mild and easy to make. Now that I know my kids would love to eat this, I have another easy to make rice dish that I can pack for their lunch box. And if you want to make it more spicy, then increase chiles. 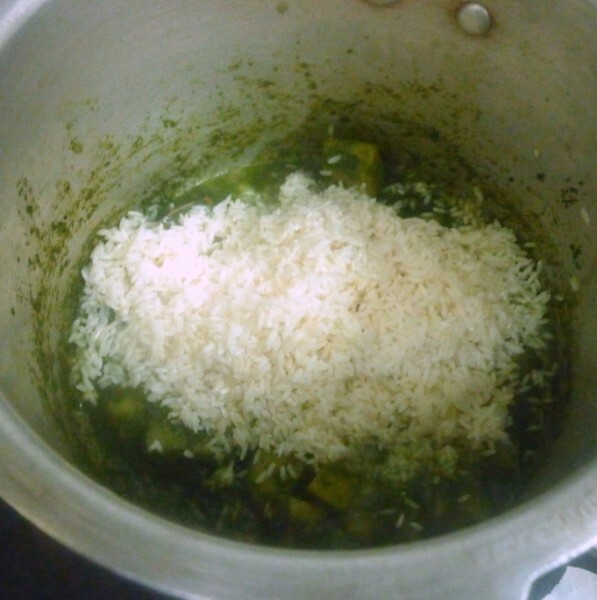 However I was okay with how this rice tasted this time and won’t want to change anything. 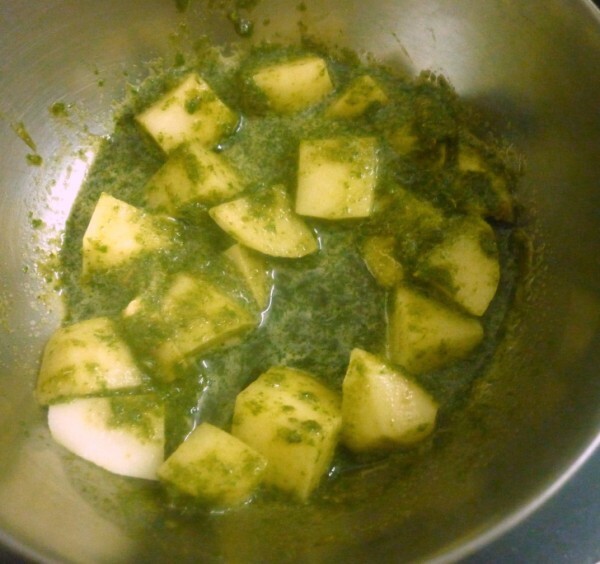 Peel the potatoes and marinate the peices with green chutney after picking with fork. Keep it aside. 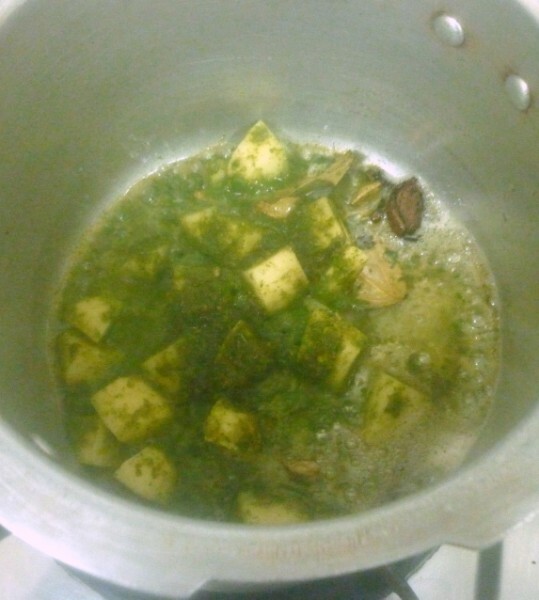 Take a pressure cooker, heat ghee in it. 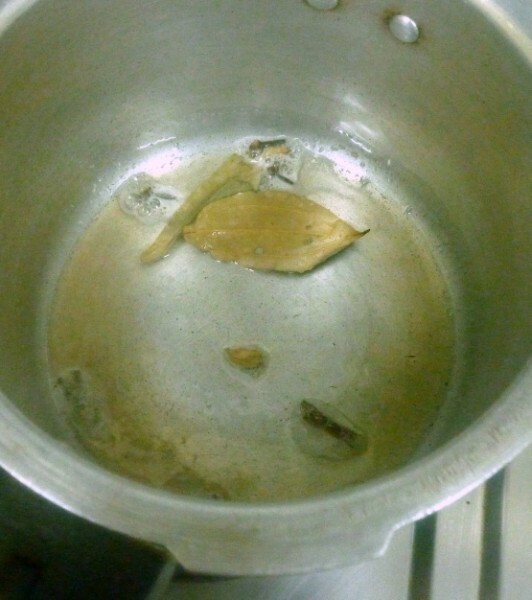 Add bay leaves, black cardamom, cinnamon stick, cloves and fry them for few seconds. Now add the baby potatoes, remaining chutney, mix them and cook them for 5 minutes. Drain the rice, add to the pan and saute them for 5 to 7 minutes. 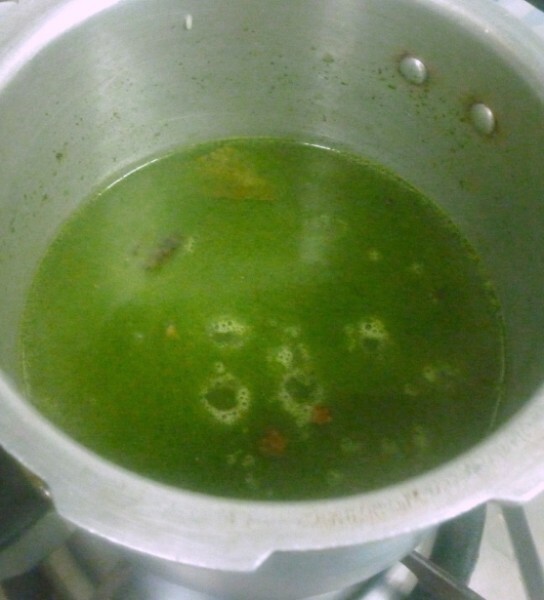 Add salt, 3 cups of water to the pan. 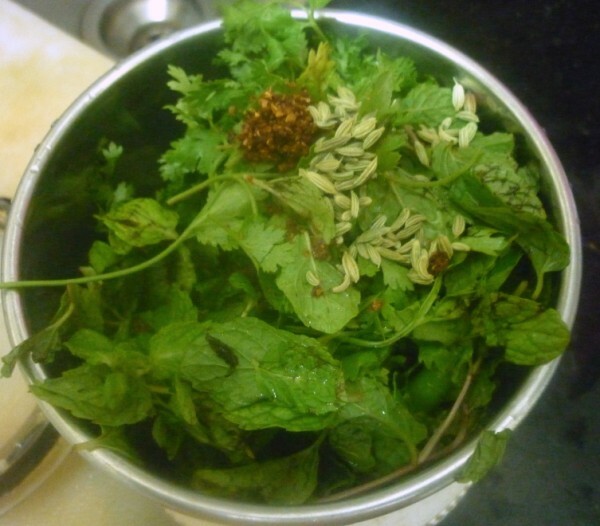 Cover the cooker with lid, cook for 3 whistles or till the rice is cooked. Once the pressure is off, serve with Onion raitha. Instead of the ginger garlic paste, you can add as whole. Once the rice is cooked and pressure falls off, you can sprinkle a tsp of lemon Juice. so flavorful and so healthy!!! love this delicious rice!!! Interesting and new combination.. Looks so flavorful and delicious. 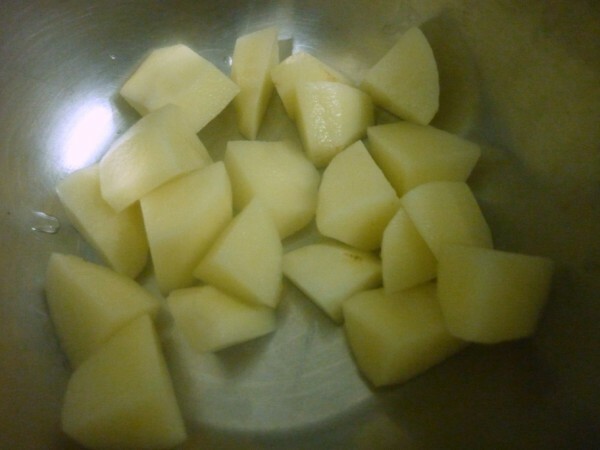 I prepared something almost same with baby potatoes, i know how tasty and flavourful this pulao will be,inviting. Wow. Such a bright, vibrant colored rice. Sounds yumm. 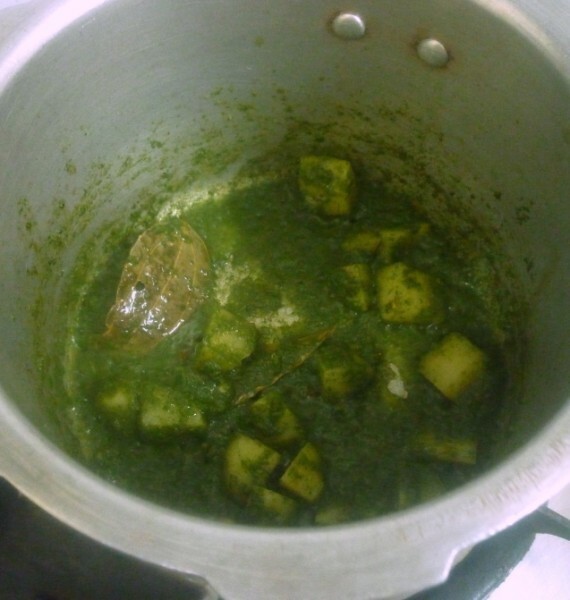 Though the pulao is new for me, chutneywale aloo is something I have heard before. Good one!